ScreenSteps Desktop 2.9 and Workgroup DocumentationScreenSteps Desktop & WorkgroupScreenSteps 2.9 TagsHow Do I Tag Multiple Lessons Quickly (Using the Tag Palette)? 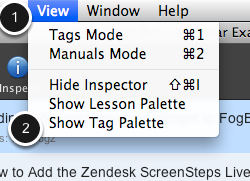 The Tag Palette will display a list of your current tags. 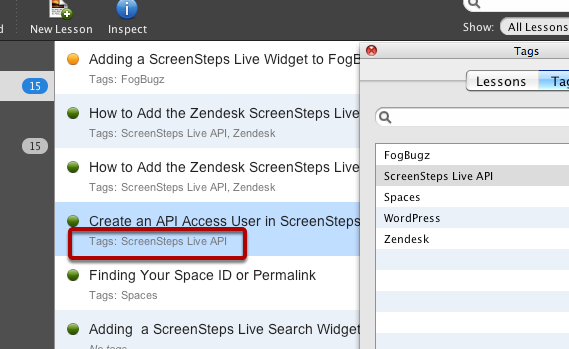 You can create new tags but pressing Add Tag (1). 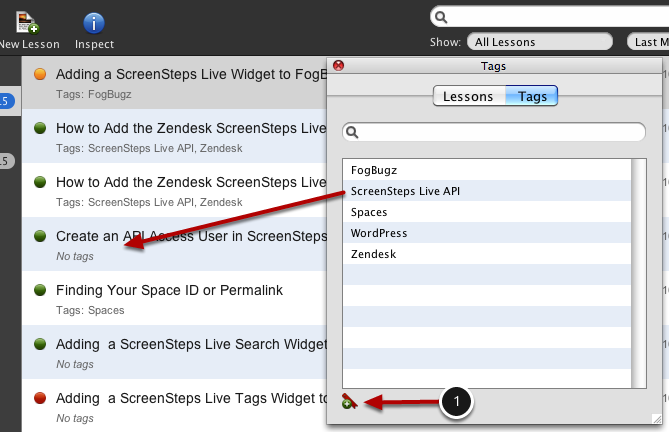 To add a tag to a lesson just drag the tag from the Tag Palette to the lesson. Here you can see that the tag has been added to the lesson. You can use this lesson to quickly tag multiple lessons. Prev: How Do I Tag a Lesson? Next: How do I delete tags from a lesson?